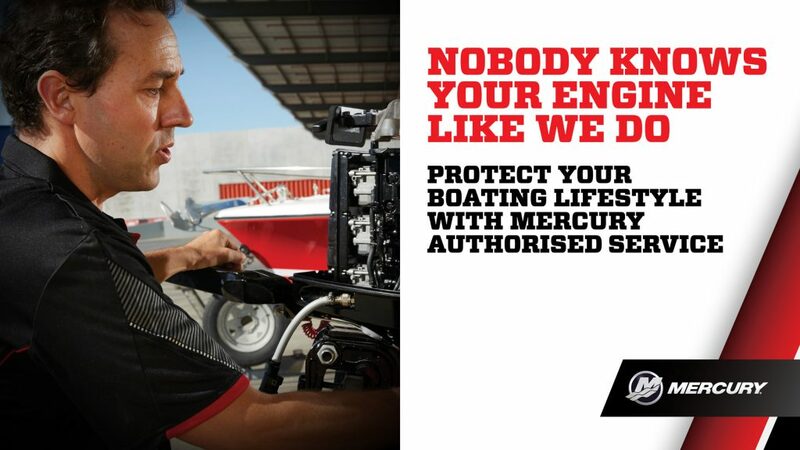 Cunningham Marine Centre is Brisbane northside leading authorized Mercury, Mariner & Mercruiser Service centre. We have an experienced team of highly skilled factory trained technicians ready to service, tune or repair your boat, motor or trailer. We offer, fixed price servicing using the latest in computer engine diagnostics, fast & efficient turnaround times, complete with warranty on both parts & work performed. Wiring & new installations….Sounder, fish finder, gps & radio fitment, & full boat rewiring. Engine installation, both new & used, complete boat fit-outs & refits. Custom canopies, Bimini tops & all other upholstery needs. Aluminum boat welding, fabrications or modifications are also arranged. We repair all brands Mercury, Mariner, Yamaha, Honda, Suzuki, Johnson, Evinrude & Tohatsu. Our customer base extends north from Sunshine coast, Caboolture, Bribie Island, Morayfield, Burpengary, Narangba, west to Petrie, Strathpine ,Lawton & Brendale south to Mango Hill, Chermside, Bray Park, Everton Hills, Aspley, Geebung, Boondal, Brighton, Deagon & Sandgate east to Rothwell, Murrumbah Downs, Scarborough, Newport, Margate & Redcliffe…..and of coarse everywhere in-between!!! Simply call or email the service department & let us get you back on the water sooner.